Πατήστε τη φωτογραφία και δείτε όλες τις φωτογραφίες του the Longines Villa. Accepting only Mainland Chinese citizens, the Longines Villa offers accommodation in Xiamen, 100 metres from Pearl Public Beach. Free WiFi is available throughout the property. 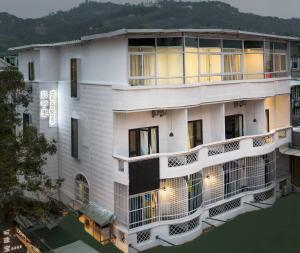 Zengcuo'an Bathing Spot is 900 metres from the Longines Villa, while Xiamen University is 2 km away. Xiamen Gaoqi International Airport is 13 km from the property. Payment before arrival via bank transfer is required. The property will contact you after you book to provide instructions. IMPORTANT: Due to local regulations, the Longines Villa is only able to accept guests who are Chinese nationals. Guests must present a valid PRC Identification Card at check-in. If you are not a Chinese national, please choose another property.